PHILADELPHIA — Bill Cosby’s insurance company, American International Group, has settled a sexual-battery lawsuit that was filed against him by Chloe Goins, a model who accused Mr. Cosby of assaulting her in 2008, the incarcerated comedian’s office said on Tuesday. “AIG continues to act egregiously by settling these heinous claims without my knowledge and/or consent,” Mr. Cosby said in a statement that his publicist, Andrew Wyatt, said he took down over the phone on Monday. In early April, seven other women agreed to settle claims of defamation, which they brought against Mr. Cosby in federal court in Massachusetts after he accused them of falsely saying he had sexually assaulted them. AIG, as Mr. Cosby’s insurer, also settled those claims. Mr. Cosby has said through his spokesman that he plans to continue pursuing counterclaims against the women, in the Goins case and the others. In 2016, the Los Angeles County District Attorney’s office declined to bring criminal charges in the Goins case, saying possible misdemeanor charges were barred by the statute of limitations and that there was insufficient evidence to pursue more serious charges. Mr. Cosby said his legal team had provided medical records to show that he was in New York recovering from eye surgery at the time that Ms. Goins said he assaulted her. Mr. Cosby in his statement accused AIG of trying to “destroy” him and his family, and he urged other policyholders to “drop this pathetic insurance company quickly.” He said he had been a policyholder with AIG for more than 20 years. Spencer Kuvin, an attorney for Ms. Goins, said his client was satisfied with the settlement but he declined to disclose its terms or say why each side agreed to settle the case, which had been filed in Los Angeles County Superior Court. “The case is resolved to Ms. Goins’s satisfaction, and we filed our dismissal today,” Mr. Kuvin said. He said that plans to depose Mr. Cosby in prison had now been dropped. “With the dismissal of the lawsuit, no further action will be taken on the file,” he said. Mr. Wyatt said a deposition of Mr. Cosby in the Goins case had been scheduled for April 18, ahead of a possible trial in June, but the deposition was dropped because of the settlement. “AIG behind our backs decided to go into negotiations with Chloe’s attorney and come to a settlement,” Mr. Wyatt said in an interview. Still active are lawsuits from two women, Judy Huth and Janice Dickinson, who have accused Mr. Cosby of sexual assault. 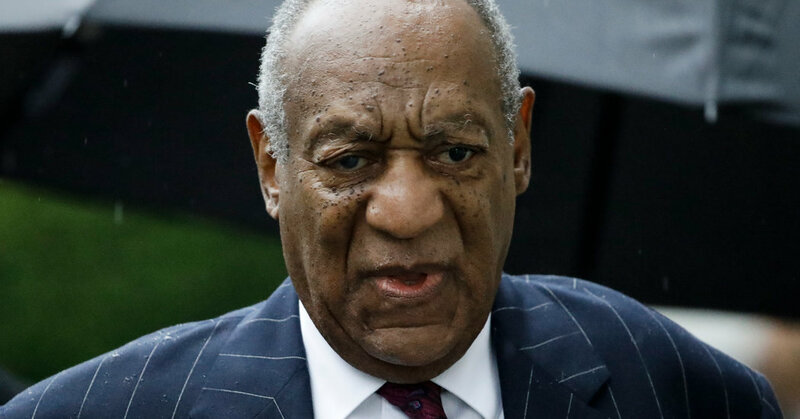 Last September, Mr. Cosby, 81, was sentenced to serve three to 10 years in prison after his conviction in April on three criminal counts of aggravated indecent assault. The woman he assaulted, Andrea Constand, was a Temple University employee at the time who had gone to meet him at his home outside Philadelphia.